You remember my old DoubleQuotes format? 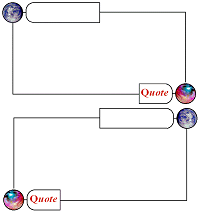 I used it to make various kinds of connections beyween two quotes? Well, I’ve come to feel its clumsy visually, takes up too much space — breaks the train of thought it’s embedded in rather than illuminating it? 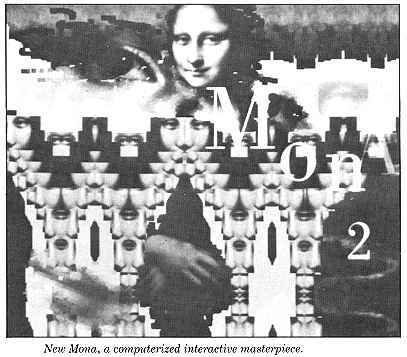 But the concept, the holding together of two ideas in close juxtaposition, still seems extraordinarily useful to me. The heart has its reasons reason knows not of. 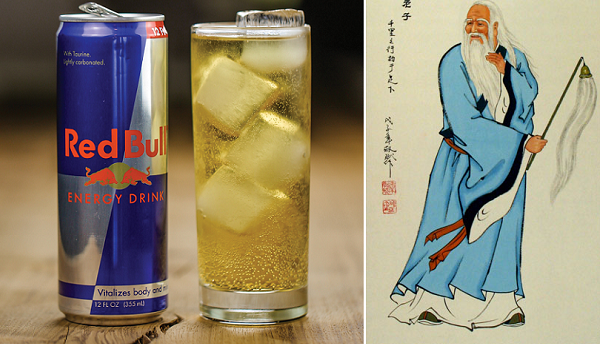 The part of my brain that causes me to chug a can of Red Bull on the way home from work has a logic all of its own. The part of the brain used to write economic papers is not the part of the brain that chooses a drink. The way that can be named is not the true way. Christ, Lao Tze, and Pascal! If the correlations are as powerful as I take them to be, and even if you omit the “many mansions” one which is I’ll admit bit of a stretch, that’s a power packed para. And the “many mansions”? It may be a bit of a stretch, but I think it adds a certain audacity to the whole — jazzes up what’s alreadt strong with an intriguing elan — what do you think? I mean, please comment, eh? Why is Dr. Jordan Peterson, clinical psychologist and professor at the University of Toronto, who recently gained meteoric attention in taking on the thought police and their language criminalizing legislation in Canada, attracting such a huge following of devotees, and eliciting both hatred and real fear among ideologues? 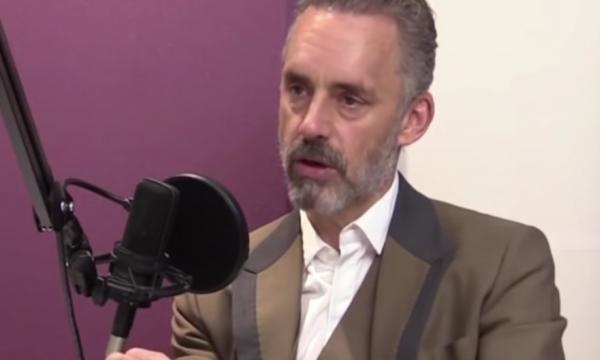 Shave off a dozen percentage points for over-the-top, and you have what I’d consider the single simplest and best account of Jordan Peterson and the reasons for his astounding popularity — which inckude a refusal to concede anything much to nuance and an a considered and measured indifference to applausee or dismisal alike. Having found a pair of great teachers in Jung and in his clinical patients keeps him deep and humble respectively. And he saves me a whole lot of work I thought was my obligation, while stretching me intellectually — not always an easy feat, although the comments section here certainly keeps me on my toes. I am almost as grateful to Heather Higgins for this introduction as to Dr Peterson himself, the introductee. Brava,bravo, bravo! 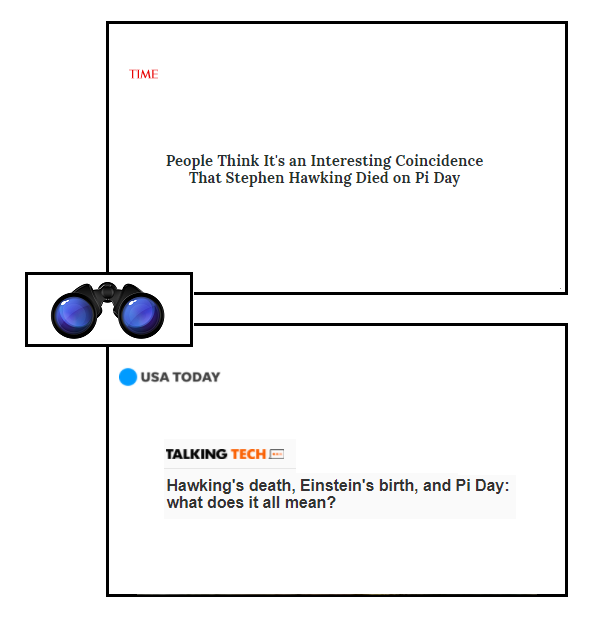 USA Today, Hawking’s death, Einstein’s birth, and Pi Day: what does it all mean? Some people on the internet think Stephen Hawking couldn’t have calculated a better day to die. The 76-year-old theoretical physicist, one of science’s most famous luminaries died on March 14, also known as National Pi Day — an annual day for scientists and mathematicians around the world to celebrate the value of pi that even includes deals on pizzas and actual pies. Suffice it to say that the noteworthy coincidence was not lost on the internet. The date of Hawking’s death — 3/14 — is significant because 3.14 are the first three digits of pi, a bedrock of geometry. Specifically, it’s the ratio of a circle’s circumference to its diameter. Naturally, the fact that science’s big celebration overlapped with the day the life of the party left us is making people geek out about the details. As soon as news spread that Hawking died early Wednesday morning in London, people were quick to connect the dots. So, is there some mystical theory explaining how noted astrophysicist Stephen Hawking died on the same day Albert Einstein was born, which also happens to be the day we honor the mathematical constant Pi? Nope. It’s just all one giant coincidence. Hawking died at 76, his family confirmed early Wednesday. He was considered one of the world’s foremost theoretical physicists, developing critical theories on black holes and writing A Brief History of Time to explain complex scientific concepts to the masses. That’s it. Nope, in a word. Nope. There is no “mystical theory explaining how noted astrophysicist Stephen Hawking died on the same day Albert Einstein was born, which also happens to be the day we honor the mathematical constant Pi”. That’s decided without consulting Pythagoras, Newton, Johann Valentin Andreae, Hermann Hesse‘s Joseph Knecht, or any of a dozen other worthies I might name..
Stephen Hawking was born January 8, 1942, on the 300th anniversary of Galileo's death. He died today, March 14th, on the anniversary of Einstein's birth. Time is circular – no beginning, no end. It seems worth recalling at this point that pi is an irrational number. First, note that Warren Leight posts that Hawking died on the 14th, in a tweet dated the 13th. Time is circular, date is relative..
– World Pi Day ? Is that Johann Sebastian Bach? May the extraordinarily, ceaselessly curious mind of Stephen Hawking rest at last in the balm of peace. And my title, Time in all its tuneful turning? I want to suggest that Dylan Thomas is at least as great a thinker about time as Stephen Hawking, and Fern Hill is my proof text to that effect. I’ll explain why in part ii of this post.